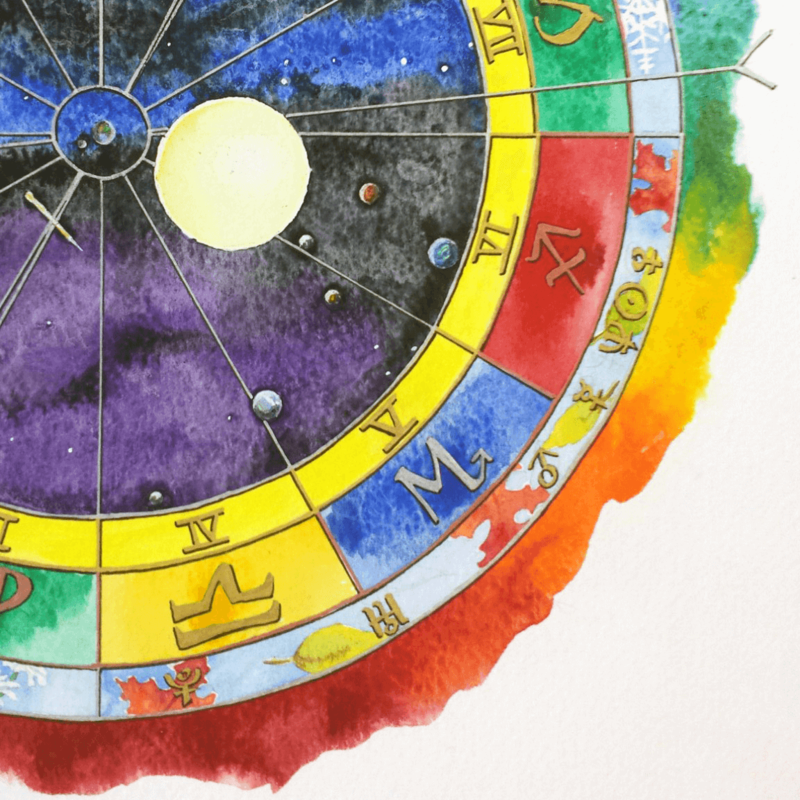 The Sagittarius astrological chart combines modern astrology software, a keen understanding of the cosmos, and expert hand painting into a mixed media gift that simply can’t be found elsewhere. This exquisite hand-illuminated birth chart portrays the solar system at the exact moment of your birth. 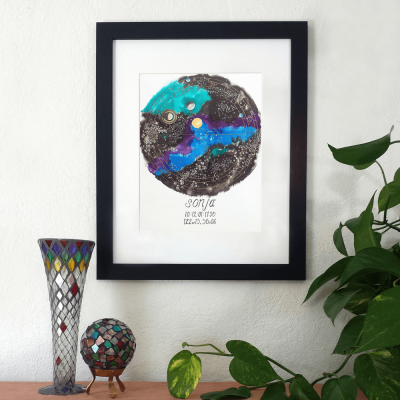 Whether you are searching for a unique gift for a loved one or would like to add to your own zodiac home décor, this memento is both strikingly beautiful and accurate. 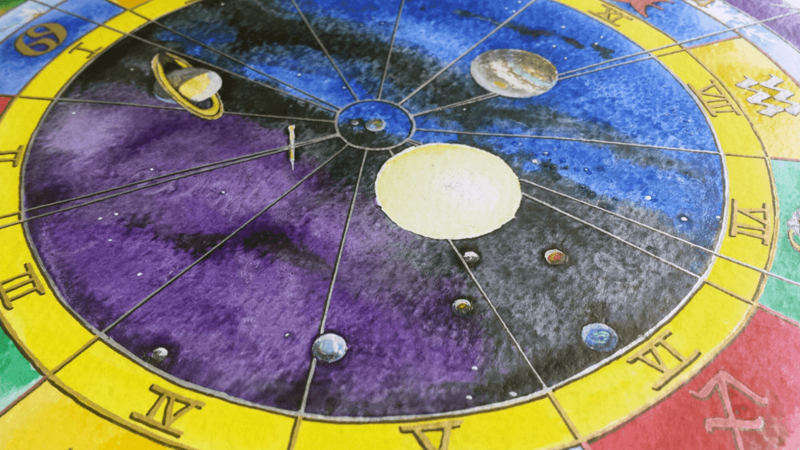 This astrological gift set not only includes your custom natal chart but also a 40 page (yes forty page!) review of your natal chart! 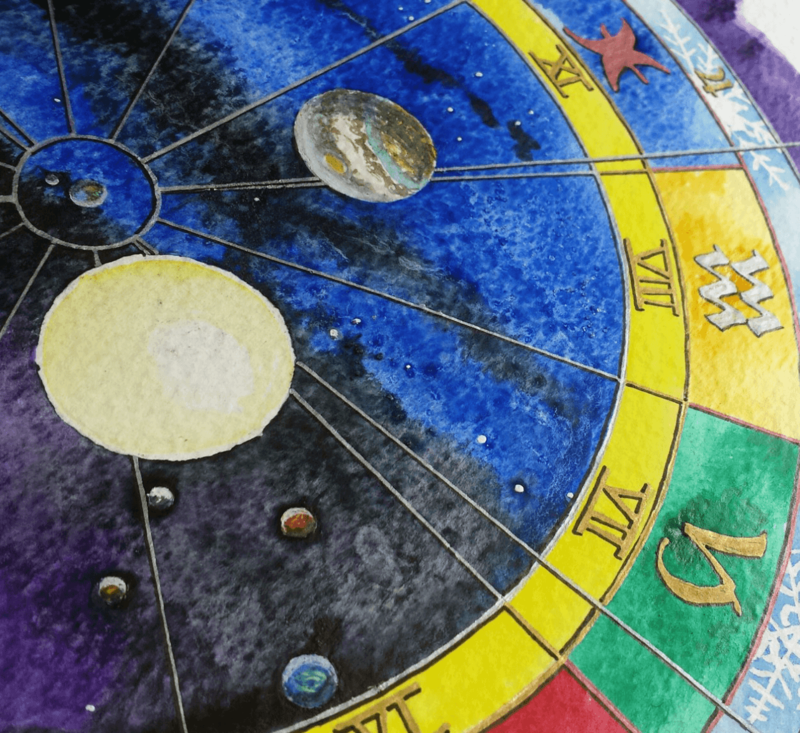 This star sign gift is carefully hand painted in archival watercolors onto 140# cold press cotton rag. The astrological symbol, or glyph, of each celestial body is inscribed on the birth chart so that easy planetary body identification is possible. The outer wheels indicate the 12 Whole Houses, the Zodiac, and the seasons. Ideal for holiday and birthday gifts, weddings and anniversaries a personalized Sagittarius birth chart is as unique as you. Please note the actual length of your custom natal report may vary slightly from 40 pages as each person is unique. As you are receiving both a painted chart and a personalized report the creation time is approximately 2 weeks. Let us help you save time this holiday season. 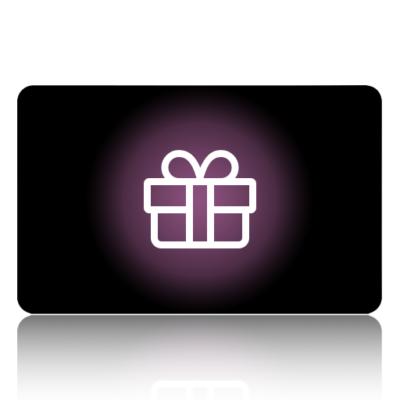 Add a gift bag to your order for gift giving made easy! You’ve finally found the perfect Christmas gift, but you don’t know her birth date, time, and place? 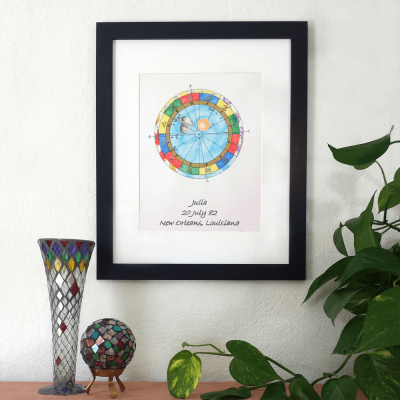 Give a downloadable Gift Certificate from Mystick Physick and let her choose her favorite chart style! When you purchase your star sign gift please include the date, time and place of your birth in the Order Notes at checkout. 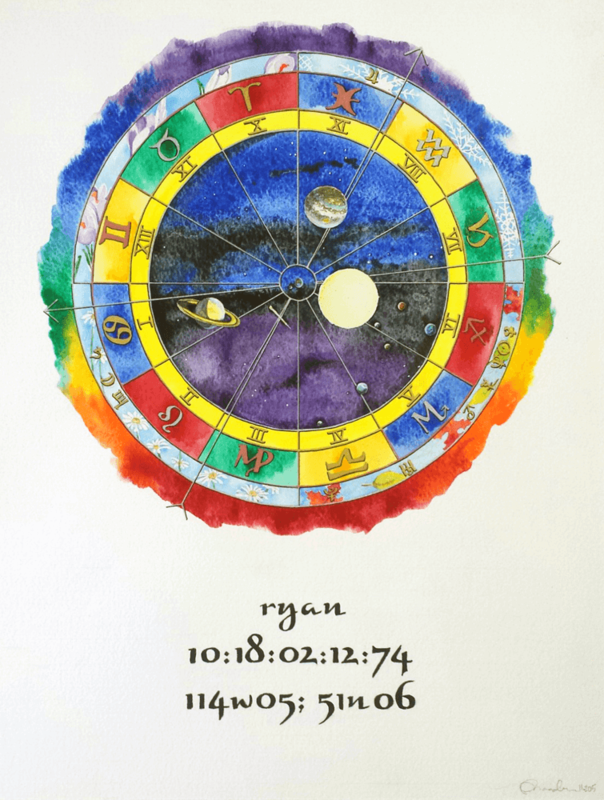 Your hand painted natal chart is a one-of-a-kind, fully archival (museum quality) work of art. Your hand painted natal chart will be shipped flat and comes wrapped in moisture-proof, acid free glassine paper to protect it from environmental damage during shipping and storage. This glassine paper is ideal for long or short term storage and for transporting your painting while you have it framed. When framing, it is important to have your painting protected behind glass (UV protective is best) and matted to prevent the paper from touching the glass. Failure to do so can cause condensation behind the glass to damage your painting. When displaying your painting, it is important to hang it out of direct sunlight to protect it from UV damage. Save the glassine paper to re-use if your painting must be stored. Store flat and do not roll the paper, as this will cause the sizing to crack and damage your painting. Store in a cool, dry place away from moisture and direct sunlight.